July 1, 2013. 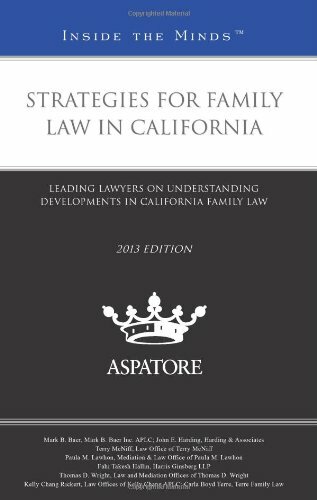 Harris ● Ginsberg LLP announces the publication of Family Law reference book Strategies for Family Law in California, 2013 ed. : Leading Lawyers on Understanding Developments in California Family Law (Inside the Minds) co-authored by partner Fahi Takesh Hallin. 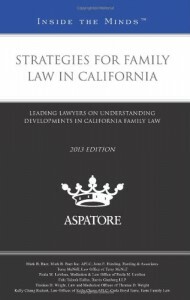 Ms. Takesh Hallin’s portion of the book relates to the important issue of jurisdiction in family law cases, as well as new issues with regard to enforcing spousal support waivers in California Pre-Nuptial Agreements.